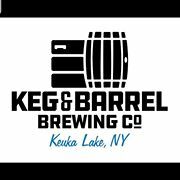 Adrianna, John, and Dave played an evening of acoustic music at the Keg and Barrel on Keuka Lake. We had a fantastic time playing and meeting some wonderful folks. Thanks to everyone at the Keg and Barrel for having us. It is a great spot with a broad selection of quality beers. We don’t have any pictures from this event.